We believe every child with an Autism Spectrum Disorder can learn given appropriate evidence based instruction. High quality individualized behavioral teaching is crucial for a child’s best outcome. We believe that a child learns best when new skills are broken down into small steps so that the child experiences success each day. In our experience both early and advanced academic skills can be taught using behavioral principles to maximize the learning ability of the child. We believe that excess inappropriate behaviors decrease when appropriate language and social skills are learned. For that reason our primary focus for early learners is on the acquisition and development of language skills. 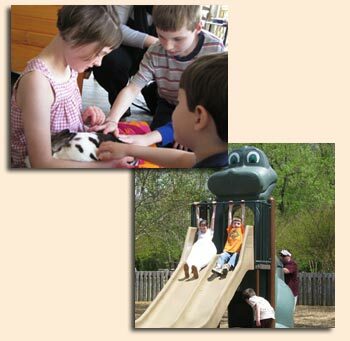 Kaleidoscope, ABA, Inc., is a unique school for children with an autism spectrum disorder. Our program combines one-on-one therapy with systematic progress evaluation to foster the development of our children to their highest potential.